Following the recent controversy surrounding the reveal and admittance of a video showing ICandy owner Darryl DePiano using the n-word repeatedly, Gayborhood community leaders have sounded off on their thoughts on social media and in protest. Later Thursday evening, it was announced that the Philadelphia Commission on Human Relations and the Office of LGBT Affairs will be holding a hearing on racism in the LGBT community on October 25th. This comes after weeks of activists calling for the Office of LGBT Affairs to address acts of racism in the community. The Black and Brown Workers Collective (BBWC), which called for a boycott of ICandy and Woody’s earlier this week, held a protest outside of ICandy yesterday. 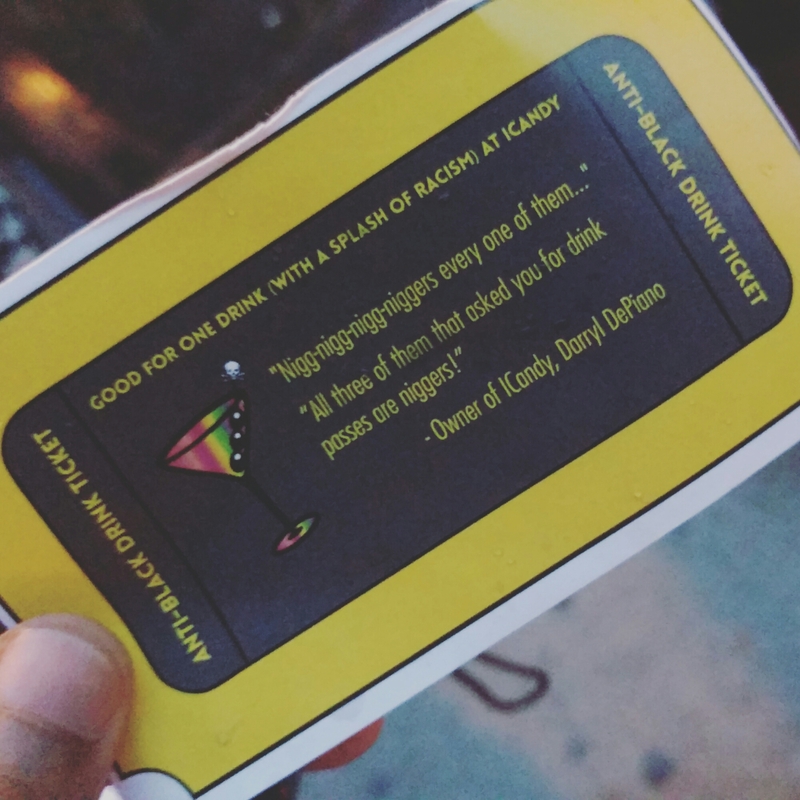 The organization initially entered the bar passing out “Anti Blackness” free drink passes with the racist quote from owner Darryl DePiano scripted. The protest had roughly 30 members of the community present and after initially entering the facility and protesting, police were called by the establishment and BBWC took their protest outside of the building. No arrests were made. We know that this is a statement that is much of the same. The power structure is not “allowing” people to testify! We have already been testifying and We will continue to speak truth to power. Our stance remains firm, divest divest divest from institutions who are anti- black. We are done looking to white supremacist systems for justice or reprieve. Divest. This is movement time.